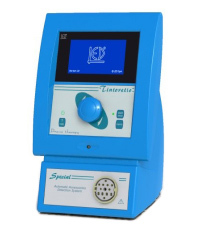 We have quality products in Electro Therapy (Imported) Equipments. 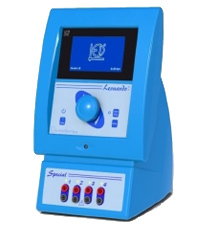 All our models are efficient and display quality in Physiotherapy Equipments. DONATELLO are a programmable driver units for US transducers with frequencies from 1 up to 3MHz. 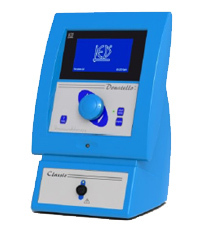 Through DONATELLO it is possible to obtain delivery of continuous or modulated with programmable intensity and delivery time to fit the thermo therapeutic deep treatment for different pathologic conditions. 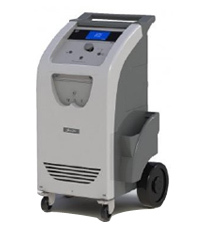 BERNINI STUDIO is a mobile unit delivery therapeutic microwaves (Radar-therapy) for casualty professional applications. BERNINI STUDIO is realized applying the most advanced electronic technologies; it has a high brightness graphic display (5� size) with adjustable contrast. The utility control is made through a knob and some keys or through an optional remote control. 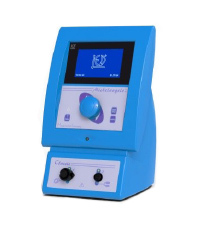 GIOTTO is a programmable control unit for IR LASER emitter (λ = 905nm), suited for regenerative biostimulating and antalgic treatments. It is possible to GIOTTO connect optional transducer handpieces. The transducers can have different dimensions and radiation power. 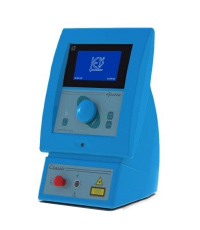 This allows the operator to choice the best handpiece proper to the treatment to be done. MICHELANGELO is an ELF magneto therapeutic unit designed for in ambulatory or at patient home professional applications, it is especially proper in the therapies that require repeated treatments for lasting a long period or therapies on traumatized or for any reason immobilized patient.